I was excited to hear about the two new floral fragrances from niche line Le Labo, but only just so much — of their initial offerings, I was far more attracted to the men's fragrances (Bergamote 22, Rose 31, Vetiver 46, Patchouli 24) than to the women's and unisex scents.1 As it turns out, I need not have worried. If they had set out to create one perfect fragrance for Angie (Ylang 49) and one for me (today's subject, Lys 41), they could hardly have done any better. If you were hoping for a glorious lily soliflore, you won't really find it in Lys 41; as with the rest of the line, it is named for the note in highest concentration rather than for the note you are most likely to notice on skin. But Lys 41 is a white floral, and a particularly lovely one. It's from perfumer Daphné Bugey, who also developed two of the favorites I mentioned above: the under-appreciated Bergamote 22 and the justly lauded Rose 31. What you'll notice right away, other than the initial happy sparkle of citrus, is likely to be the tuberose, but it's a sunny and bright tuberose2 rather than the wallop of tropical floral you get from classics like Robert Piguet Fracas, and the lily and jasmine, which join in shortly thereafter, almost seem to cut the richness rather than taking over the proceedings. It's not sheer and dewy, mind you, as seems to be the modern approach to white florals, but it's far from cloying or heady, with the obvious proviso that white-floral-phobes are perhaps likely to disagree with that assessment. The pale woodsy-musk base is done perfectly, with just enough vanilla to make it delicious, not so much as to remind you of food. The lasting power is quite reasonable. Verdict: Just gorgeous, and one of my favorite fragrances so far this year. The press materials for Lys 41 use adjectives like "overwhelming" and "treacherous" and "potent", but it's a brilliant balancing job — I would vote for the "warm and sunny" description more than the others. It doesn't smell anything like Ormonde Jayne's Frangipani, but it has that same cheerful, good-day-to-be-alive sort of feeling. I am betting that Ylang 49 will get more interest from perfumistas, and it is possibly the better scent, but it didn't really suit me; Lys 41 is already on my buy list. Le Labo Lys 41 is available in 15 ($58), 50 ($145), 100 ($220) and 500 ($700) ml and 30 ml Perfume Oil ($120) or in travel tubes (3 x 10 ml, $135). For information on where to buy it, see Le Labo under Perfume Houses. Note: top image is White Lilly [cropped] by rick ligthelm at flickr; some rights reserved. 1. I am not sure that Le Labo still specifies gender assignments for their fragrances, although they did when the line launched in 2006 — you can see a complete list here. And by the way, thank you, Le Labo, for not flooding the market with new releases. It is true that they started out with 10 fragrances, but they've been relatively restrained since then, especially in comparison to some other niche brands. 2. It might satisfy those who were disappointed by Le Labo's Tubereuse 40, a fabulous scent that wasn't at all about tuberose. Hope you’ll like it! I think most people will like either this or Ylang 49. I am always glad when you love a scent ,Robin. Have thought about going in on a split of both Lys and Ylang but held back as I didn’t hear the siren call of these. But like I said, it’s nice to see you love something! Thank you, I’m glad too! I’ve just got a sample of this and can’t wait to try it. Oh, the line is really very worth trying — some real gems. Lovely review Robin! I read another review of Lys 41 earlier today at Kafka’s blog (akafkaesquelife) and she had a really positive opinion on it. Lys 41 goes on my to-sniff list, along with Ylang 49. They are both worth trying, and thanks, will check out that review. Hi Rena, something tells me that based on your past comments you might like DK Gold? It’s chemically related to Lys Mediteraneee but it has a leather effect and amber in the base. It might go nuclear on you but maybe touch-applied it would be worth a shot. Sorry to chime in uninvited and if you’ve already tried Gold, apologies. 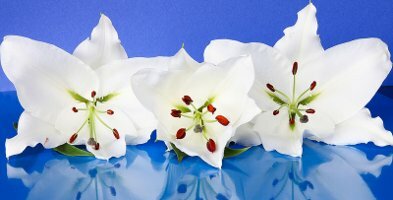 I always want to support lilies in perfume! I’d love to see the saws that Barney’s sold if Barney’s sold saws. That and your descriptions of your Lys Mediteranee experience made my evening. LOL! I do think this is not “mostly” lily, so might be worth a shot anyway. You’re a tough customer Robin so if you love this one I will get a sample. Never hurts to try. You might hate it, of course! A sample of this arrived just yesterday, so your review couldn’t have come at a better time for me! I’m sniffing along as I read your review. I definitely agree that it’s not as cloying as other white florals (I find Carnal Flower cloying – I know, I know, I’m in the minority on that one, but the scent just doesn’t suit me!). Lys 41 is quite fresh and springy, but perhaps not bright in the way that OJ’s Frangipani is. It’s a lovely fragrance and probably my favorite in the batch of samples that just arrived (the others are sort of disappointing). The dry down is definitely warmer than the OJ, you are right. I do love CF too, but that’s quite different as well. Sorry you got a yuck batch of samples, I hate that! Just ordered samples of both. I’ve been looking for my perfect summer floral for a few years now and Lys sounds like a potential contender. I’m ordering samples of this one and Ylang 49. Honestly think they might both work. And next time I’m in NYC, I’m going to try the tuberose one. All new to me, haven’t tried Le Labo yet. The tubereuse scent is lovely — very expensive, but lovely. Wish I had a bottle. I too have samples of this and Ylang on the way. And hooray for 15 ml bottles! I mean, $58 for 15 mls of perfume is not cheap, but I can afford $58 (as opposed to $158 or whatever which is often what you are obliged to pay) and I’m never going to use more than 15 mls. A win-win situation. Totally agree on the small bottles…very nice that they do that. Sounds wonderful, and I’m on a mission to try every tuberose fragrance out there. Overwhelming and treacherous… Hmm. They both goes straight up on my to try-list. Bergamot 22 is my favorite scent from Le Labo, and always on my top 10- list. So glad to hear it, I almost never hear the Bergamote mentioned and I do think it’s just brilliant. Very timely review, as I’ve been looking for a sunny and happy tuberose for the times when I’m not feeling up to Fracas. This sounds worth a try. Definitely worth a shot. There’s also Diptyque Do Son, although I don’t totally love it. Between yours and Angela’s Labo review I have finally decided to overcome my prejudice against this brand. I clearly need to start getting hold of some samples! Oh, I do think it’s a great brand. I don’t love everything — not fond of the whole city exclusive thing, and the mixing on the spot is lost on me, but there are some really great scents in the line. My sample arrived yesterday and my impression on first sniff was ‘sunshine dipped in honey’ – if there could be such a thing. Glorious. I’m so much enjoying my sunshine dipped in honey that a deep analysis of the notes seems redundant, but I do smell, among other notes, a beautiful, light infused tuberose. This one’s a keeper, I think. And tenacious! Nine hours, although the last hour or two was quiet, and probably come mainly off clothes rather than skin. Still, darned good. Oh good! Did you try the Ylang too? Yes, found it less than pleasant – bitter – until the far drydown resolved itself into a chypre accord I could live with. Not worth the wait. Still, I’m happy with the Lys! My samples arrived yesterday and I have Lys 41 on today. I hesitated about the initial scent, and my husband commented it being “spicy” (not sure what prompted that), but as it develops it got better and better. 4 hours later I am convinced that this is THE one white floral that I can wear that does not annoy me. Looking forward to try Ylang, and the rest of my splurge (city collection) should be arriving from Le Labo soon too! I see that prices for Le Labo Lys 41 have gone up since this post was first published (for example, the 15ml is now $70, the 500ml is now a whopping $820). I’m wondering if there’s been a company-wide price increase (and I’ve been living under a rock) or they just raised prices for Lys 41 in particular. Kind of odd considering it came out only about a year ago. They must be selling these like hot cakes or something! Oh, what a shame! Prices for niche perfume, in general, seem to be creeping up everywhere.